Nokia has unleashed its latest Symbian Belle handset in the form of the Nokia 603, which promises cutting-edge features on a mid-range budget. 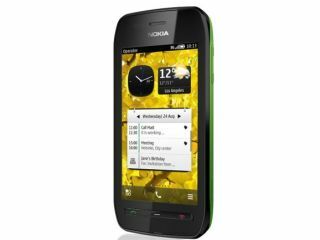 To start with, the Nokia 603 is rocking Symbian Belle, the latest version of Nokia's aging OS. It's powered by a 1GHz processor, which Nokia claims makes it "responsive even while multitasking many apps". It's rocking a 3.5-inch ClearBack display, complete with toughened glass and nHD resolution (640 x 360). Of course there's a camera on board - a 5MP affair with digital zoom that can handle shooting 720p video at 30fps. To save you a job or two, the Nokia 603 comes with Angry Birds, Fruit Ninja, Shazam and YouTube apps pre-installed, as well as Nokia Maps with turn-by-turn navigation and the now near-obligatory NFC. Excellent news for rainbow fans, the Nokia 603 comes in six delightful colour variants: black, blue, white, green, cherry and, our shade of choice, a cherry yellow. Slated for a UK release date of Q4 2011, the Nokia 603 UK pricing should be around £175.